PigCHAMP Pro Europa S.L. 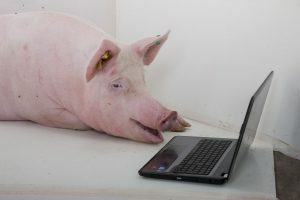 is an independent company, 100% spanish capital, dedicated to swine data management, analysis and improvement of productivity, reproductive audits, implementation of real-time biosecurity control systems, research by contract and R+D systems implementation in every company, as well as training and education based on the company’s own data and key performance indicators. This activity is developed at both national and international levels (EU and Latin America).